It was a whirlwind tour with a Spanish flavour. 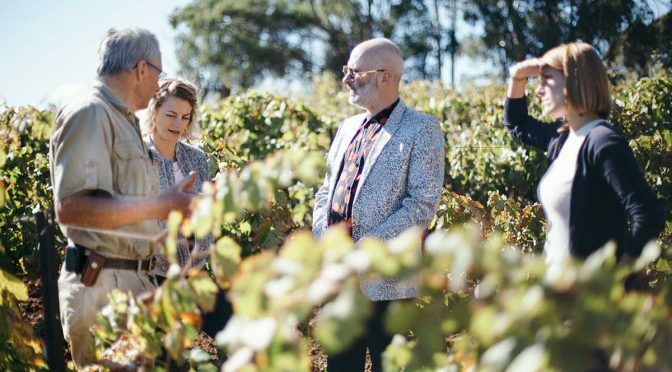 Three top chefs and three head sommeliers from Melbourne’s Movida restaurants toured northeast Victoria on a two-day culinary speed date in late March. “Wow,” said Movida head chef Scott Stevenson, “There was so much diversity in such a small area.” He was travelling with Ewen Crawford from Movida Aqui and Shane Kenny from Movida Next Door. 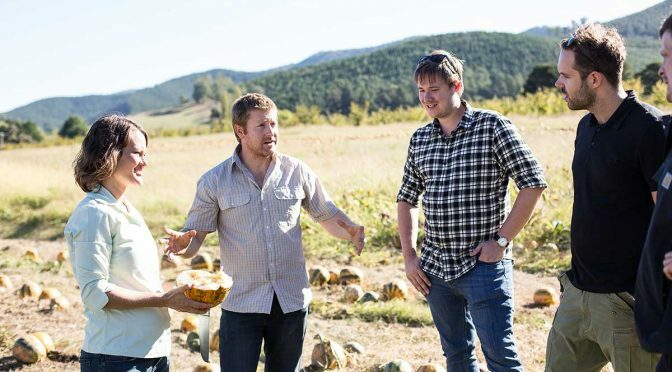 This is an ongoing collaboration that sees the team from the award-winning Spanish restaurants fully immersed in tasting and visiting production of the best food, wine and beverages of the region, as part of the High Country Harvest. It culminates in two very special events. Firstly, Movida head chef Scott Stevenson cooks a unique meal with award-winning chef Michael Ryan from Provenance in Beechworth on May 19. Then a special lunch at Movida Aqui on Saturday June 24 for 120 people will be held (details below). While touring the High Country, the team drew comparisons to the hill country in Spain. “They raise a lot of sheep and goats like they do in Andalusia,” said Scott. 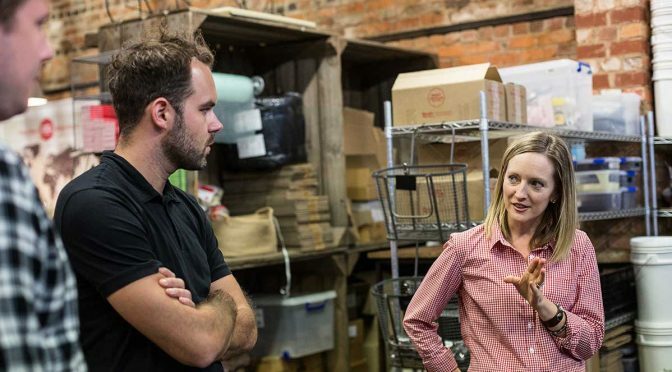 “I was really impressed with the quality of the product.” He is planning on wet roasting cuts of goat from Myrrhee Goat in goat cheese whey from Tolpuddle Cheese at Tarrawingee. This he’ll cook with onions, garlic, carrots and rosemary. “I also saw the animals grazing on wild blackberries and rosehips,” said Scott, who is mulling over the idea of making a lamb jamon with Indigo Lamb, served with blackberries and local rose water. Scott is also playing with the idea of using Pennyweight olorosso from Beechworth to make Cordoban-style wild mushrooms, finished with King Valley Dairy truffle butter. 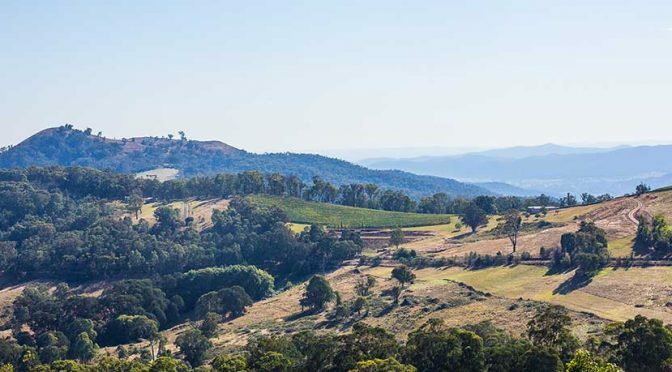 The chefs also visited hives in the forest with Beechworth Honey, Australia’s best capers at Long Lane Capers and also Pepo Farms, home of the Australian Pumpkin Seed Company and the Artisan Oil Mill. 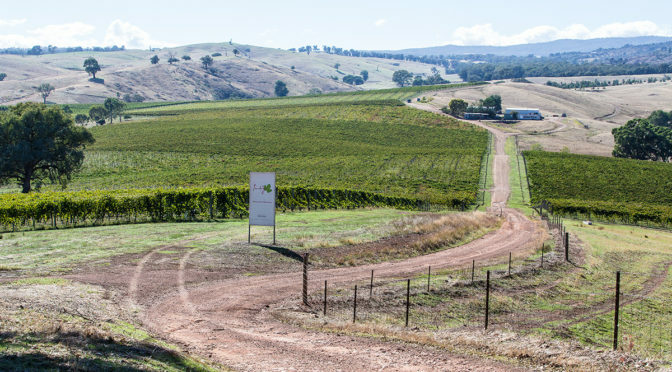 The trio also visited Mayford Winery at Porepunkah, which they described as one of the most beautiful vineyard locations they had ever seen. “We have a lot of Spanish tempranillo on the wine list,” said Dizzy. “So it was good to taste the Mayford tempranillo and see how they make it.” Dizzy was put into action plunging the cap onto the fermenting red wines while he was there. The sommelier team also tried the Sangiovese at Pizzini, Apera at Pfeiffers, the beers at Bridge Road Brewers, Castagna’s vermouth and a new, French style vermouth called Correll, by Mandy Jones from Jones Winery. 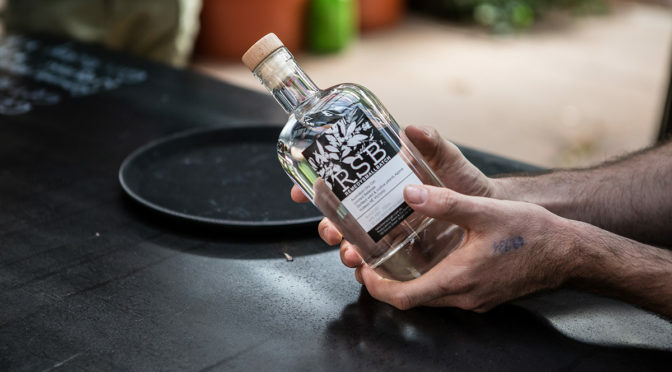 While in Bright, they also received a dose of Remedy Gin – a “delicious” spirit – from the team at Tani Eat and Drink. 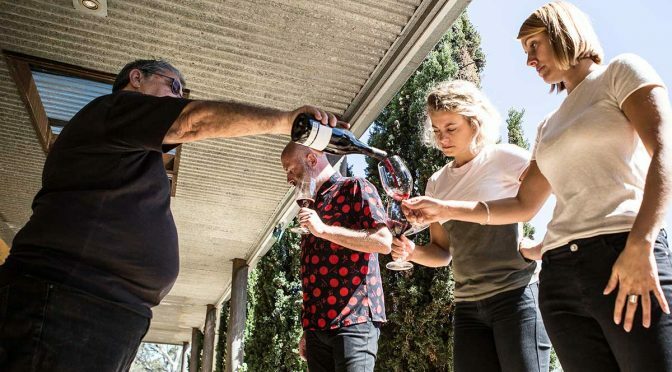 This celebration of High Country food and wine continues into winter with a one-off, special lunch at Movida Aqui on Saturday June 24 for 120 people. For bookings call Movida on (03) 9663 3038.